In a bid to purposefully expose their children to measles, and thereby help them ‘get over it’, some parents have been holding ‘measles parties’ in order to expose their unvaccinated children to the disease. This week, New York City officials declared a public health crisis in the area, after 285 cases of measles were confirmed in Williamsburg in Brooklyn. 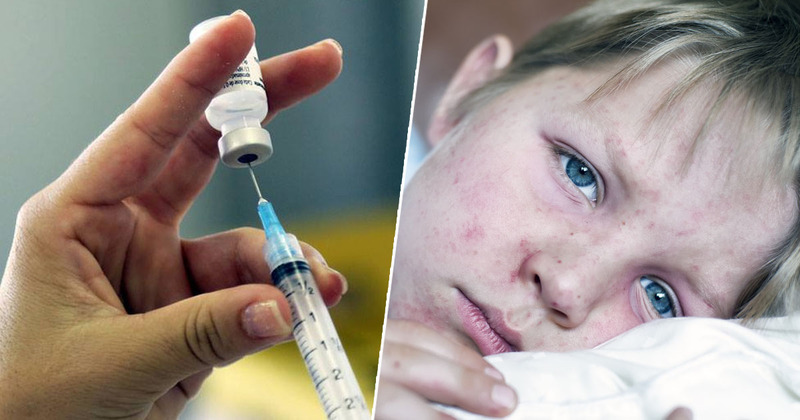 According to reports, most of the people said to have contracted the condition come from predominantly Orthodox Jewish communities, where large numbers of children remain unvaccinated. The ‘measles parties’ are concerning health officials, as multiple cases of these gatherings have been reported. New York Mayor Bill de Blasio has now stated that everyone in certain zip codes needs to be vaccinated in order to contain the outbreak of measles, and anyone who isn’t vaccinated within 48 hours could be fined up to $1,000, INSIDER reports. Back in the day people were having parties to expose their kids to chickenpox. We live in a different world now… there are serious consequences to that. The chickenpox vaccine wasn’t introduced until 1995, so parents would often have ‘chickenpox parties’ to help their children catch, and subsequently get over, the illness. However, these parties were based on the notion that most people who contract chickenpox only get it once, though this is not the case with measles. Nowadays, gatherings such as these can have serious implications, are it’s impossible to predict a person’s reaction to the infectious – even with chickenpox, some may have a mild reaction, though others can have much more serious reactions. Rather than parties, the best way to keep children safe from infectious diseases is vaccinations. The MMR vaccine immunises against measles, mumps and rubella, and it is recommended – by the Centers for Disease Control and Prevention (CDC) – children should have their first dose between 12 and 15 months old. The CDC reports two doses of the vaccine are around 97 per cent effective at preventing measles, while one dose is 93 per effective. Widespread use of measles vaccine has led to a greater than 99% reduction in measles cases compared with the pre-vaccine era. The Food and Drug Administration’s commissioner, Scott Gottlieb, has said that the anti-vaxx movement could bring about a national health crisis.